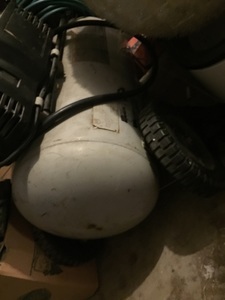 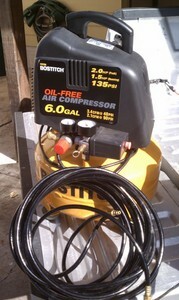 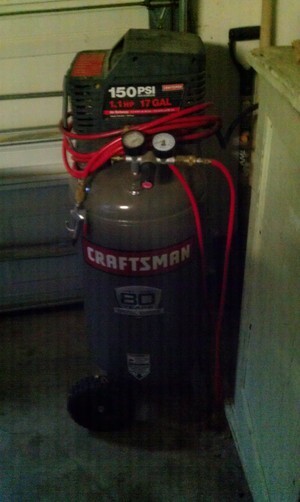 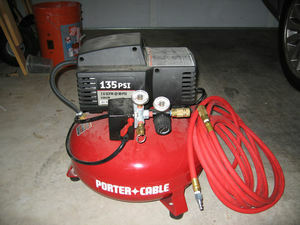 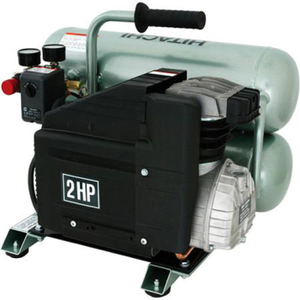 For loan is a like-new Stanley 2 horsepower, 6 gallon air compressor w/air hose. 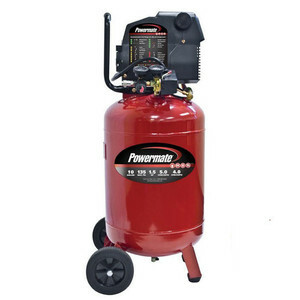 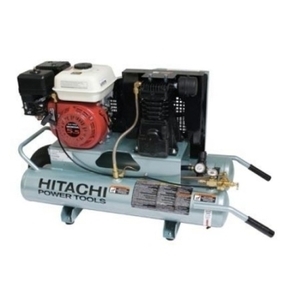 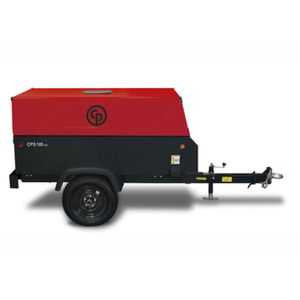 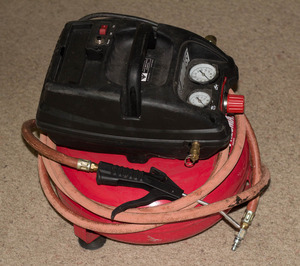 The air compressor is great for standard household projects including wood work and trim work, airing up tires, and using basic air tools. 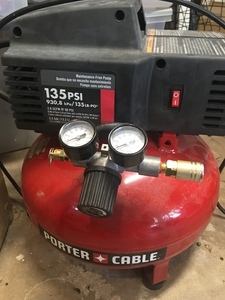 I wouldn't recommend this compressor for heavy duty air needs like sanding a car or sandblasting but it's great for other projects. 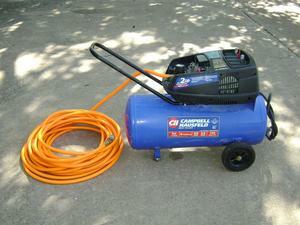 The hose is about 40 feet long.